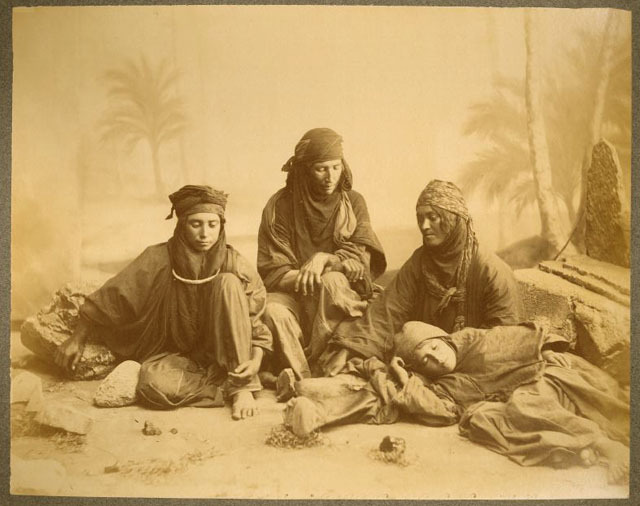 Photo of the Day: Four Syrian Bedouin women in the late 19th century. Syria in 1900 had a population of a little less than 3 million (not counting what is today Lebanon). My guess is that some 10-20% of the population was at that time pastoral nomads or transhumants, i.e. livestock raisers who moved with their flocks in search of pasturage. Bedouin women had more freedom of movement in the nature of the case than their urban counterparts.